This mobile has been made for inside or out. An elegant design with lots of organic shaped petals. 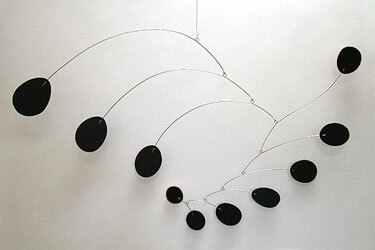 A modern mobile design that works well in any room. Custom color each petal a different color, mix and match or go all black. Use the colorizer button and see all the different combinations. Video: Steel & Petals Mobile in Motion!